Welcome to McPride Roofing. 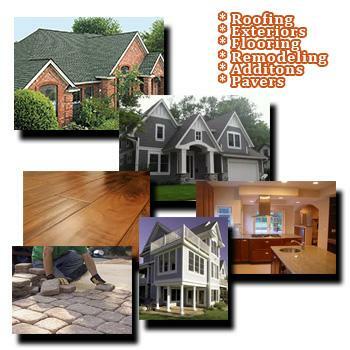 We are roofing contractors providing exceptional quality roofing services in Broken Arrow Oklahoma, Tulsa Oklahoma, Owasso Oklahoma, Bixby Oklahoma and the surrounding areas. Whether you need your roof repaired or replaced, we offer outstanding quality professional workmanship, prompt service, and competitive prices. We have a team of professionally trained and experienced roofers to provide fast and reliable roof repair. We will quickly identify and solve your problem or replace your roof to protect the integrity of your home. Our roofing specialists and technicians have extensive training and experience to ensure the highest standard of quality service for every job. At McPride Roofing, we provide full service professional roofing for homeowners in Tulsa and the surrounding areas. Homes in Oklahoma are at risk of damage from tornadoes, high winds, hail, and storms. We provide effective roof repair for hail and storm damage using the best products on the market for superior quality home improvement. In addition to roofing, we offer siding, seamless gutters, and window and door installation services. We offer a free 17 point inspection from one of our professional roofing specialists to assess the condition of your roof. If you are looking for roofing companies in Broken Arrow, Oklahoma or Tulsa, Oklahoma, please browse our website to read more about our services and discover what sets us apart from other Tulsa roofing contractors. For more information or to have a roofing specialist come out for a free inspection, please contact us at (918) 251-7663 or click the schedule an appointment tab and fill out the form provided!